Welcome to paradise. 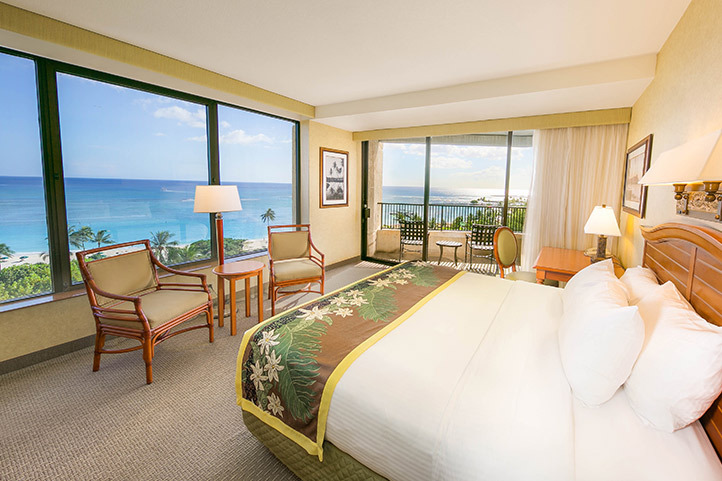 Hale Koa Hotel is an oceanfront retreat for military members and families on the storied, sunny shores of Waikiki Beach. You’ll find a whole new meaning for rest and relaxation here among the sand, surf and swaying palms. Plus, our shows, sights and shopping bring Hawaiian culture, activities and entertainment within easy reach. Find fresh, craveable favorites, local flair and plenty of options to mix it up. Hale Koa Hotel’s famous Mai Tais and pupus celebrate the tastes of the tropics. With a commanding presence on world-renowned Waikiki Beach, Hale Koa Hotel is a 72-acre tropical oasis designed for military members and their families. You’ve just found your match made in paradise for any occasion. Whether you’re saying “I do” or celebrating a reunion or graduation, your special day is our specialty. Live the aloha spirit like the locals do at Hale Koa Hotel. If there’s anything we can do to make your visit even better, we want to know about it. Check here for renovation updates.